Get richer with every ride! Now reduce road congestion, pollution, fuel usage & your bills while spending time with like-minded people and making new friends. ePoolers takes car pooling to another level where you will find fellow poolers with shared interests. Just create a ride or requirement and find people who not only share your destination but interests too! It is a great way to overcome the Odd Even problems, expand your social network and explore new opportunities to make friends. So why should you drive alone and feel frustrated in traffic jam when you can carpool or bikepool and have enriching discussions on your commute. 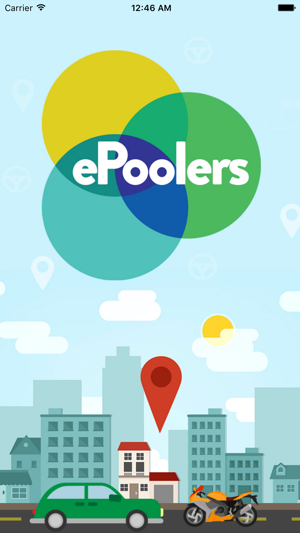 Use ePoolers mobile app to find out daily carpools & bikepools near your location. It will enable you to do your bit in controlling pollution & traffic congestion, saving environment by reducing your carbon footprint and save your wallet money as well. You just register on app and become a Rider or a Pooler by choosing your source and destination. You can connect through social networking sites Facebook and LinkedIn as well, to get a more trusted network for your car pool. And the best part is, you do not have to carry your wallet for any cash payment and do not have to face any hurdle for exchange of currency. On top of everything, Trust of People around you for your car pool & bike pool. 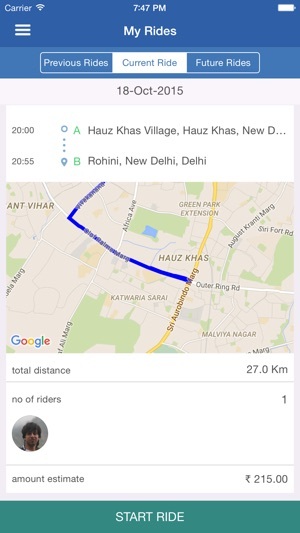 Just log on to the app to either create your carpool / bikepool or find a car pool or bike pool. From the search results, send a request to offer or request a ride. 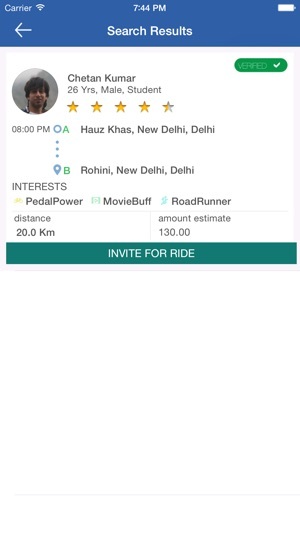 On confirmation, connect with carpooler / bikepooler by tapping on their image on "My Current Ride" screen to finalize a meeting point. At the time of ride, the Pooler has to Start Ride from My Current Ride screen. Once the Pooler starts his carpool / bikepool, the Rider has to Join Ride on his/her My Current Ride screen. At the end of ride, the Pooler has to End Ride from My Current Ride screen and this triggers the settlement of the cost of the car pool / bike pool. Once the ride ends, both Pooler & Rider get to rate each other. This rating will reflect on their account & a good rating will increase the chances of finding a Pooler or Rider for your carpooling or bikepooling requests. It blocked my account without any justification. I installed this app at night n it excepts me to upload the vehicle license photo. At least it should give me option upload by later 1 day. Instead of blocking account directly they should give me a option on how to correct the data.